Filling : 50 GMS Thermal Bonded Silkonized Hollow Fibre Wadding. Shell Fabric : 50% Polyester 50% Cotton Fabric on top & DUPONT Certified Tyvek fabric inside. An essential part of every home, pillows make the entire bedding set complete with their mere presence. After working for long hours, they whisk away the fatigue out of our body with their cushiony surface. Give these pillows a waterproof pillow protector that will make them look perfect and ready-to-sink-in object. Call it a shield, as these protectors for your pillow will guard them from oil stains and all manner of accidents with their protective layer. Pamper yourself with their ultra smooth softness that will accent your existing home decor. Create a personalized space in tranquil that will celebrate every moment of life. 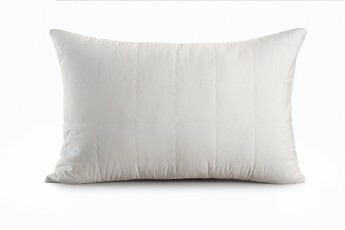 Buy pillow protector online to ensure a year full of chic aesthetics. 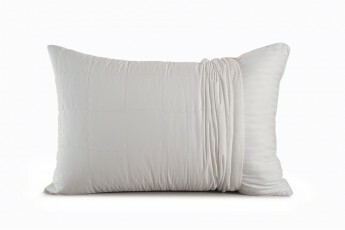 Create a setting that blends the inside out with master class appearance of these waterproof pillow protectors. They are made from a blend of 50% polyester and 50% cotton fabric on top. They are durable and completely waterproof which means no liquid can seep in through the layer of the fabric. Filled with thermal bonded silkonized hollow fiber wadding they are allergen free. You can find this pillow protector in India now. Give your dreams a sweetness of protection with pillow protectors that are sprinkled with great design and texture. 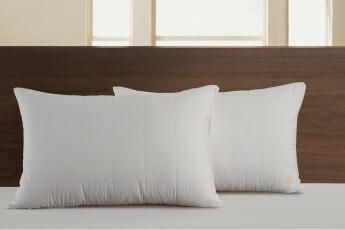 You can buy pillow protector online for that added comfort that takes you away for wanderlust. Avail the amazing prices and discount offers as its raining offers on www.homscapesindia.com.